Coming just one month shy of its 30th anniversary, Shout! Factory and Hasbro studios are bringing Transformers: The Movie to Blu-ray this September. The newest edition of the film that sent countless children running and crying from the theater at the death of Optimus Prime in August of 1986 will feature a new HD transfer from the original 35mm elements, as well as a “full range” of bonus content, some of which will probably be culled from the out-of-print 20th anniversary release that will fetch quite a bit of energon on Amazon. That content includes the international scrolling Star Wars-style opening and audio commentary with director Nelson Shin, as well as deleted and alternate footage (including an animated storyboard where Ultra Magnus is drawn and quartered). Transformers: The Movie contains more heart, gravitas, and actual Transformers than Michael Bay’s 2007 “live-action” take on the popular toy line—if just about everything in the movie is digitally altered, is it really live action?—not to mention a much cooler soundtrack. Or maybe it’s simply nostalgia: Cynics will point out that, in the film, many favorite characters from the first two seasons of the Transformers television program were killed off simply to make room for new toys in the Hasbro line. However, the brutal deaths actually carry some weight in the film’s “hero’s journey”-inspired storyline and showcase anime inspired—and far superior to the television series—animation and commitment to more adult storytelling. 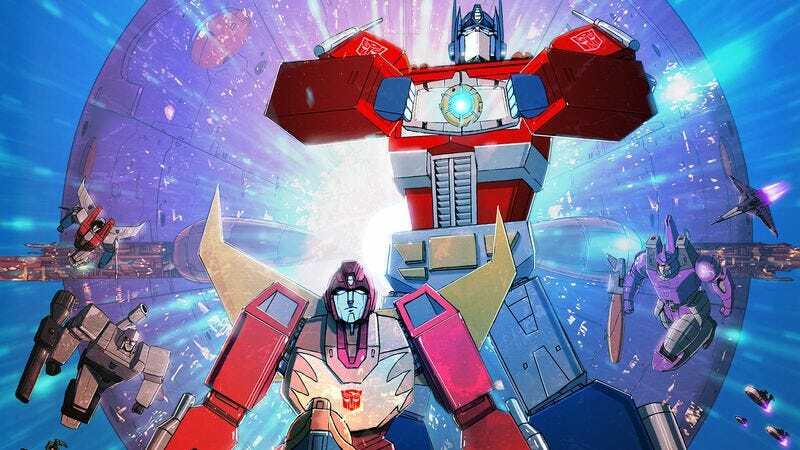 Transformers: The Movie is also notable for its, bizarre cast including Judd Nelson, Leonard Nimoy, Robert Stack, “the Micro Machines guy,” and Orson Welles in his final film role. Transformers: The Movie is slated for release September 13th, 2016.